Congratulations to former Bridgnorth Endowed School students, Nyah Edwards, Beth Charnell and Tilly Chase. 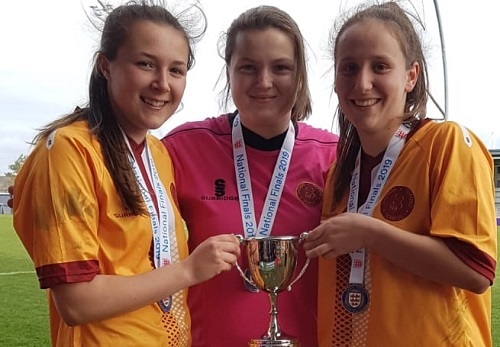 The talented trio helped Thomas Telford U18 Girls’ Football Team become English National Champions by defeating Barking Abbey of South London 2-0 at the end of March. All three girls started their footballing careers at one of the local grassroots clubs, Bridgnorth Spartans. Nyah, Beth and Tilly are currently in Year 12, completing their post-16 education at Thomas Telford School, as well as being part of the Thomas Telford Football Academy. Well done from all at Bridgnorth Endowed.